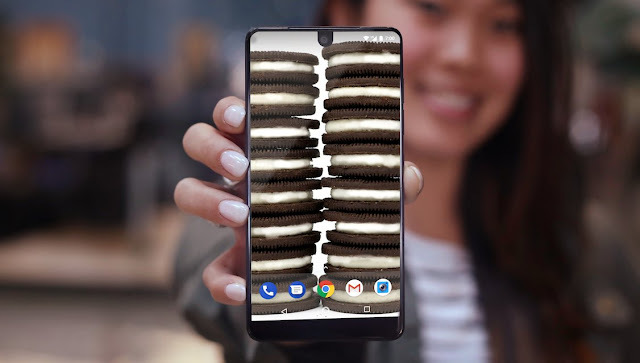 Announced back in May 2017, Essential PH-1 is now getting the Official Android 8.1 Oreo through OTA (Over the Air) Software Update. 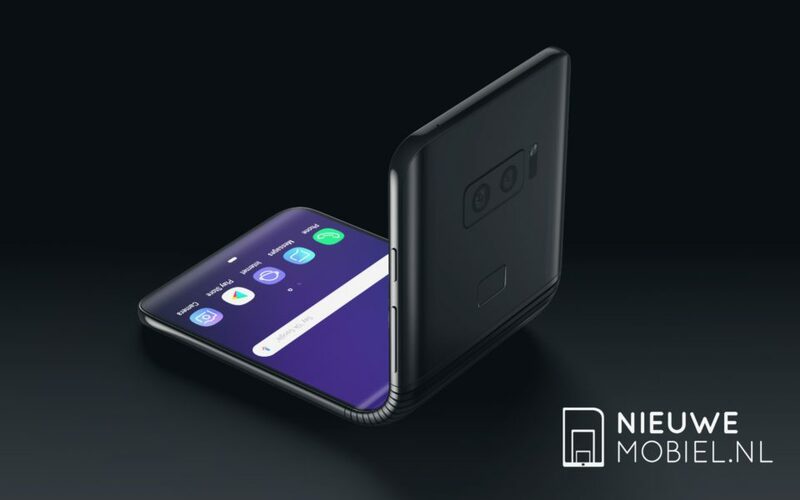 The attraction for the phone is at the back where the magnetic connectors lie. With the help of these magnetic pins, you can connect additional devices. For now, there's a 360-degree camera that has two 12MP lenses. At the back, there are two cameras of 13MP along with an 8MP front-facing camera. 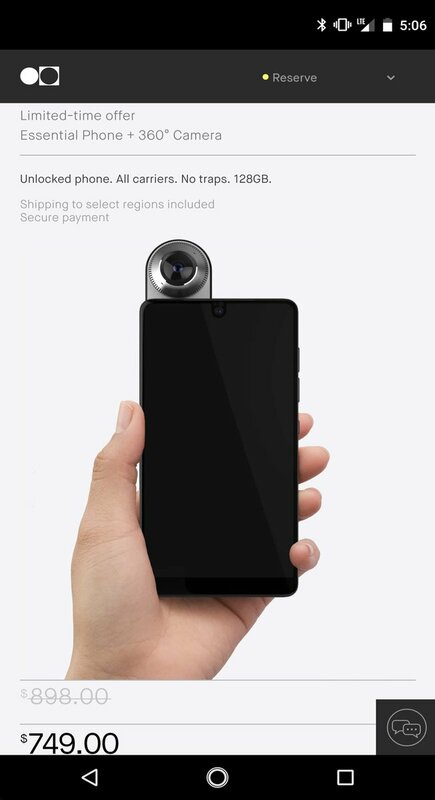 The so-called modular 360-degree camera costs $199. 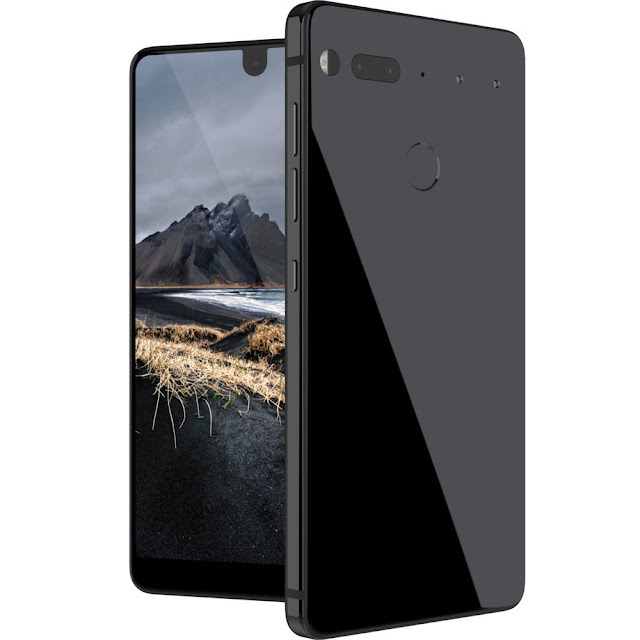 A new report shows that Essential managed to sell nearly 5,000 PH-1 units since launch. To recall, Andy Rubin announced the Essential PH-1 phone back in May with top-notch specs and mouth-watering design. The entire package is offered at a price of just $699, way less than the Samsung Galaxy S8 and is available only through Sprint. Essential also plans to launch its Essential Home smart-home hub later this year. The Essential smartphone features a 5.7-inch QHD edge-to-edge display, not the one seen on Galaxy S8. It is powered by the Snapdragon 835 SoC, 4GB of RAM, and 128GB of internal storage. The phone comes with ceramic back and includes USB Type-C port, Bluetooth 5.0, and NFC. The phone runs Android 7.1.1 Nougat. A few months ago, Essential revealed its PH-1 Smartphone with top-notch specs and mouth-watering design. The entire package is offered at a price of just $699, way less than the Samsung Galaxy S8. The company announced earlier this month that Sprint would be the exclusive carrier in the United States, TELUS in Canada. 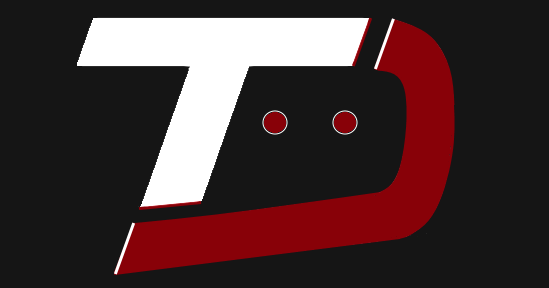 The phone is expected to start shipping sometime in August to the public. Thanks to Jason Mackenzie (Head of sales at Essential), we now have our first look at the Essential smartphone's Screenshots. 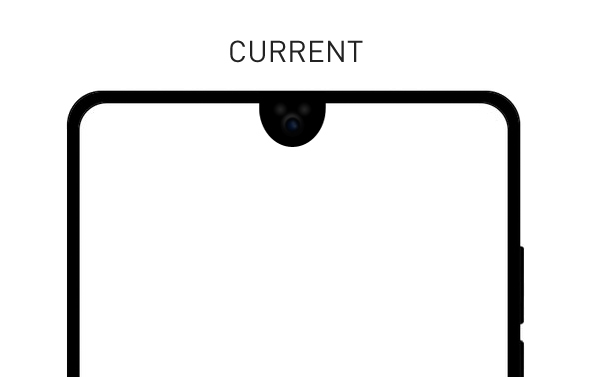 It's not just an ordinary image, the screenshot also reveals how big the Status Bar on the Essential Phone is. 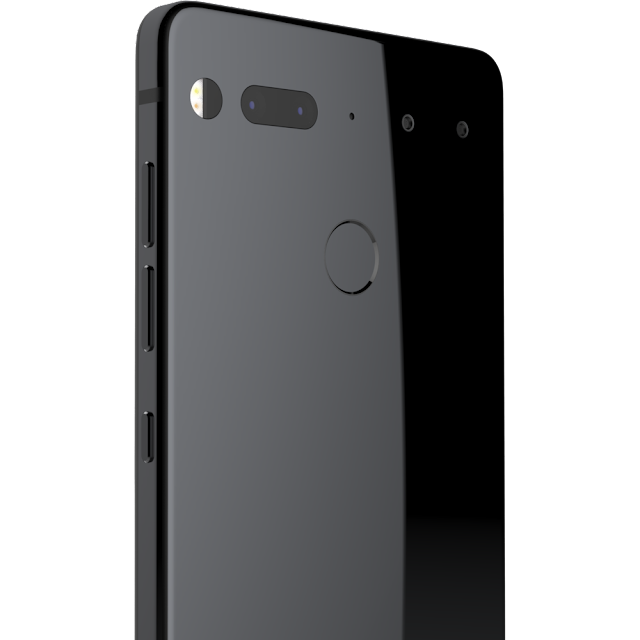 Additionally, the Screenshot also confirms that the Essential Phone will be coming with Pixel-like home button with small white outline. 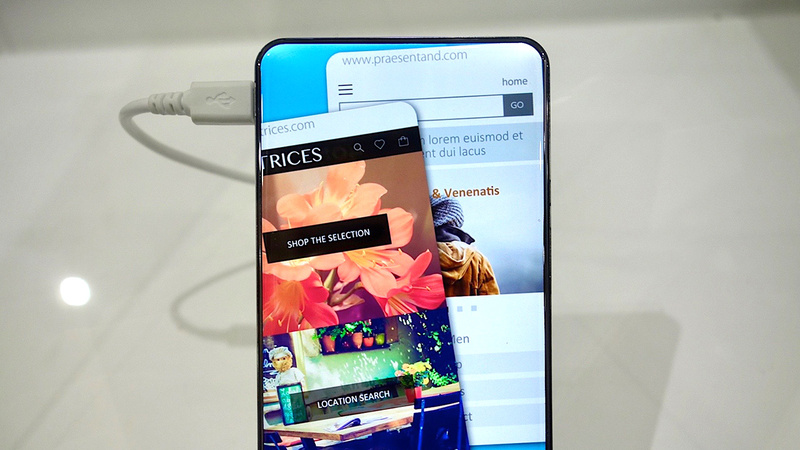 The Essential smartphone features a 5.7-inch QHD edge-to-edge display, not the one seen on Galaxy S8. It is powered by the Snapdragon 835 SoC, 4GB of RAM, and 128GB of internal storage. The phone comes with ceramic back and includes USB Type-C port, Bluetooth 5.0, and NFC. 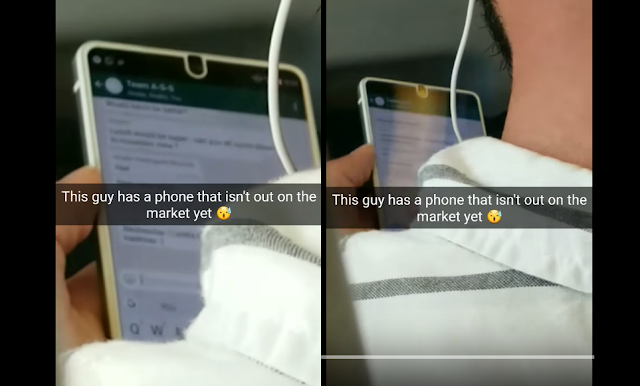 The phone runs Android Nougat. 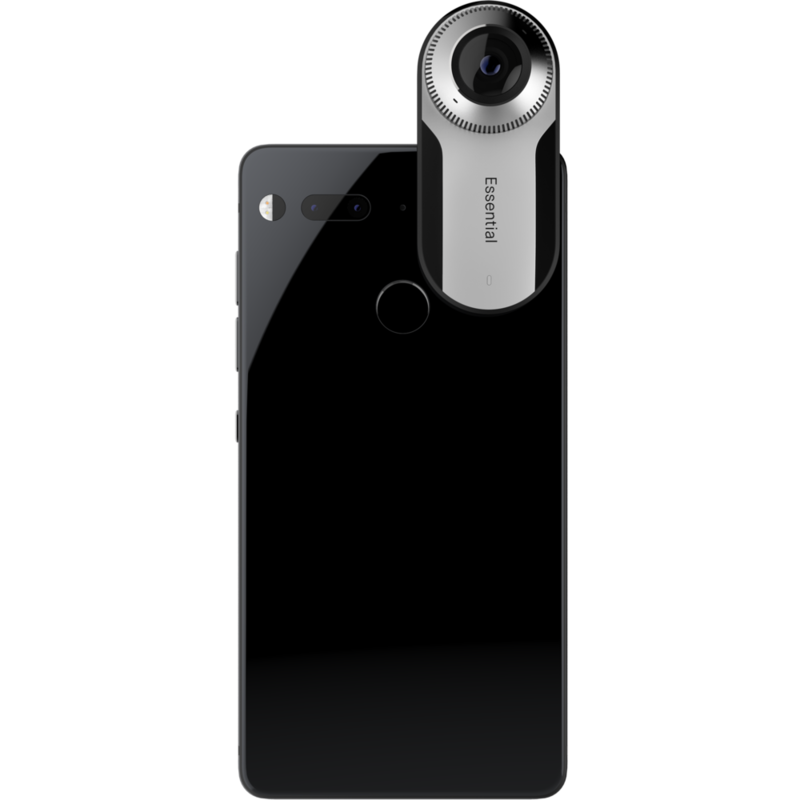 Andy Rubin’s Essential smartphone is not completely Bezel-less, but it do looks stunning and with top-notch specs the devices matches the standards of the 2017 flagships. The attraction for the Essential PH-1 Phone is at the back where the magnetic connectors lie. With the help of these magnetic pins, you can connect additional devices. 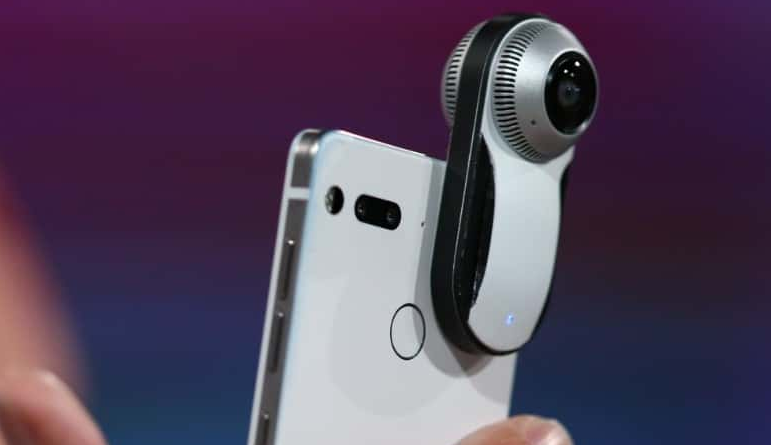 For now, there's a 360-degree camera that has two 12MP lenses. The so-called modular 360-degree camera costs $199. The father of Android-Andy Rubin recently announced the Essential PH-1 Phone with top-notch specs and mouth-watering design. The device is not completely Bezel-less, but it matches the standard of the 2017 flagships. 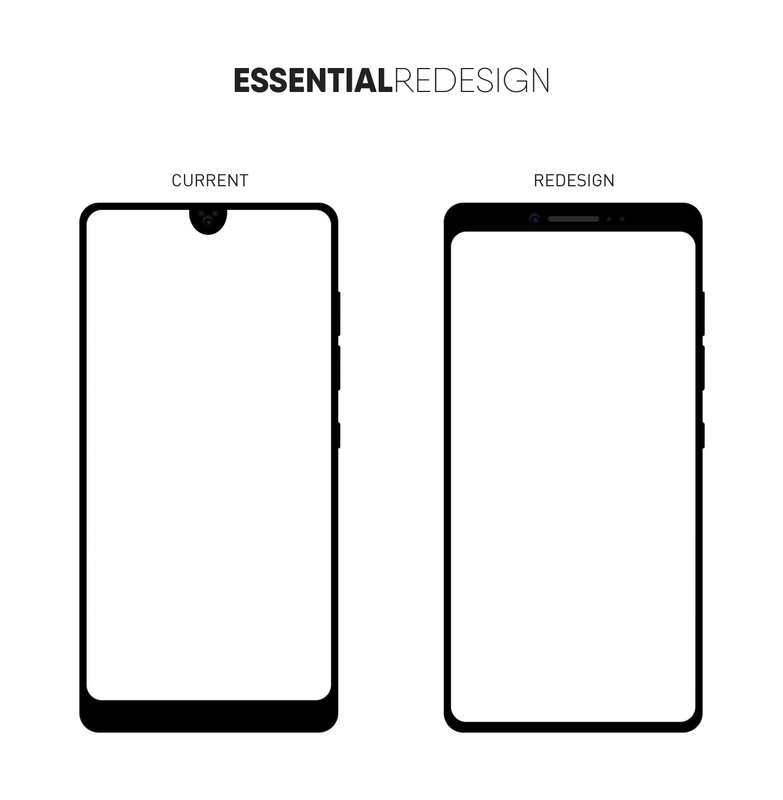 In an interview by Bloomberg, Niccolo De Masi, president and COO of Andy Rubin's new company Essential revealed that the next Essential Smartphone will be completely bezel-free. 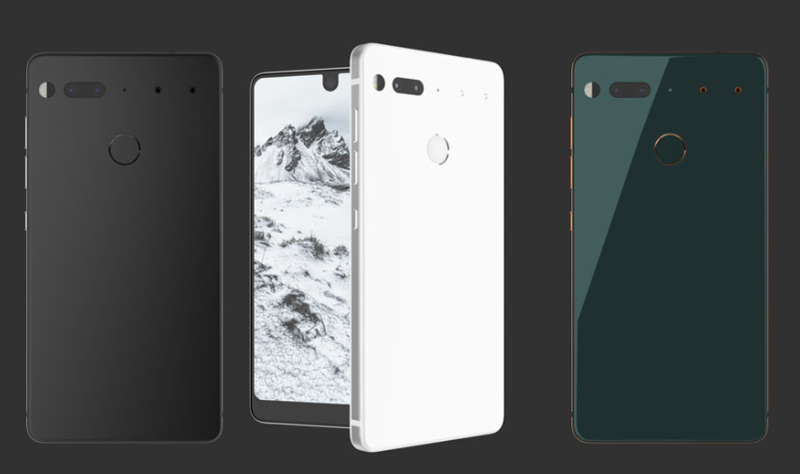 It seems that the company has already started working on the Next Essential Smartphone with a complete bezel-free design. 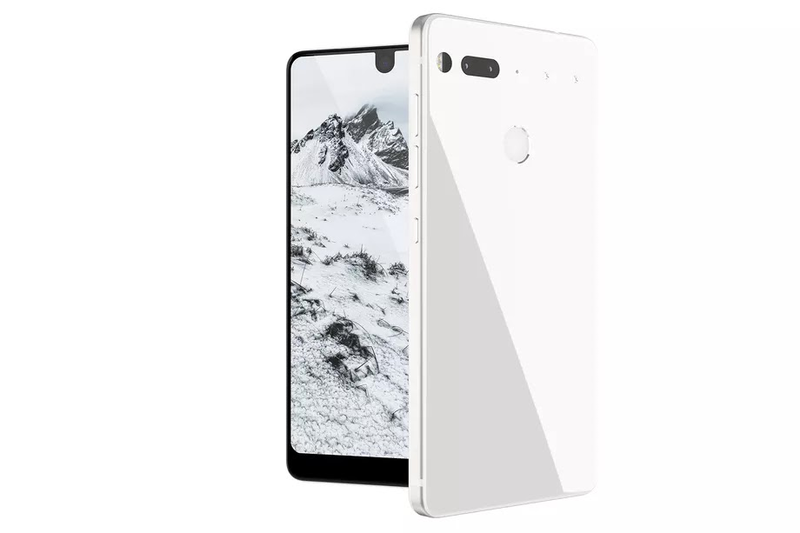 The device will be likely called Essential PH-2. The Essential PH-1 smartphone features a 5.7-inch QHD edge-to-edge display, not the one seen on Galaxy S8. It is powered by the Snapdragon 835 SoC, 4GB of RAM, and 128GB of internal storage. The phone comes with ceramic back and includes USB Type-C port, Bluetooth 5.0, and NFC. The phone runs Android Nougat. 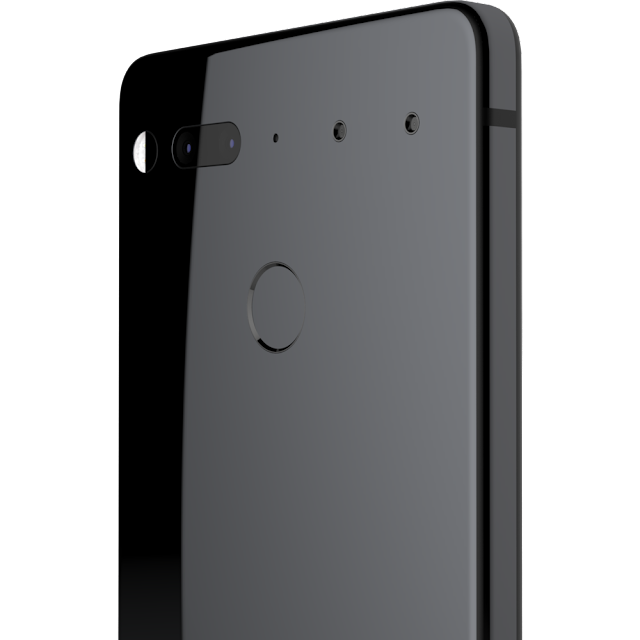 The father of Android-Andy Rubin has been teasing a smartphone from the past few days with the name- Essential. And the smartphone has now gone official with top-notch specs and mouth-watering design. The entire package is offered at a price of just $699, way less than the Samsung Galaxy S8. The Essential smartphone features a 5.7-inch QHD edge-to-edge display, not the one seen on Galaxy S8. It is powered by the Snapdragon 835 SoC, 4GB of RAM, and 128GB of internal storage. The phone comes with ceramic back and includes USB Type-C port, Bluetooth 5.0, and NFC. The phone runs an unspecified version of Android. The Essential phone is available in Black Moon and Pure White Colour options. As said earlier, the device will ship for $699, and you can now reserve your phone. 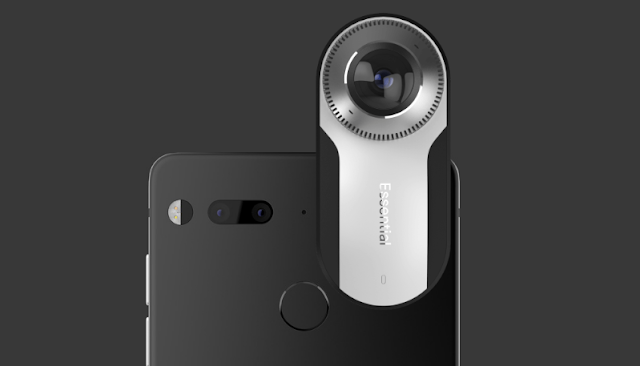 For customers whoever books the phone will get additional $150 discount for the 360-degree camera accessory, making the price to just $50.